As much as I like to think I am, I’m definitely not cool enough to live in East London. Wonky haircuts, Dr Martens, skinny jeans…it’s just not my aesthetic. However, I lured Adam and Melissa there this weekend to visit a cat estate agent. That’s correct, an estate agent for cats! 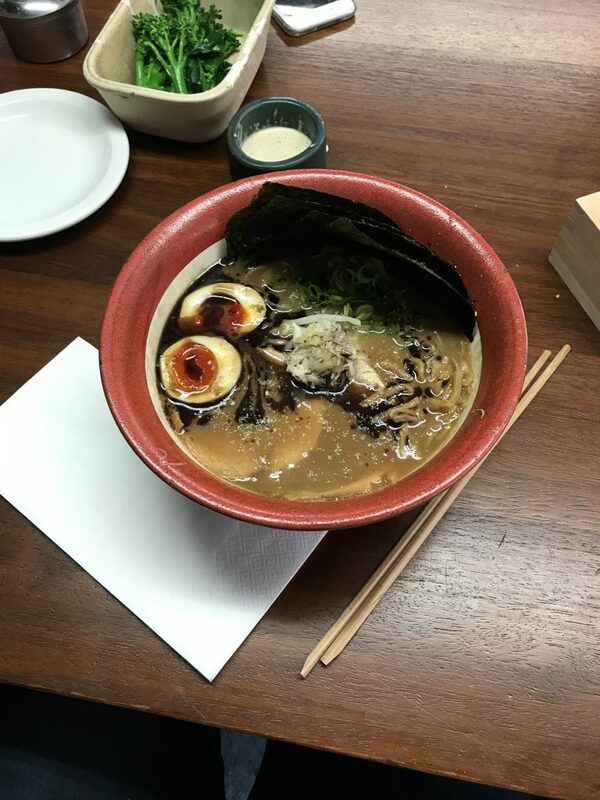 After schlepping all the way to Old Street, I needed sustenance, so we located our nearest ramen joint. I have previously reviewed Bone Daddies, so I was initially hesitant to return so soon, but the only other nearby option was closed. I have to say that I wasn’t a fan of the location of the restaurant – it felt like a bit of a soul-less ‘mixed use development’, but once inside the rock music added much needed atmosphere. I have lost count of the number of times I’ve had the Korean chicken wings. So in an effort to broaden my culinary horizons we decided to share two starters between us. 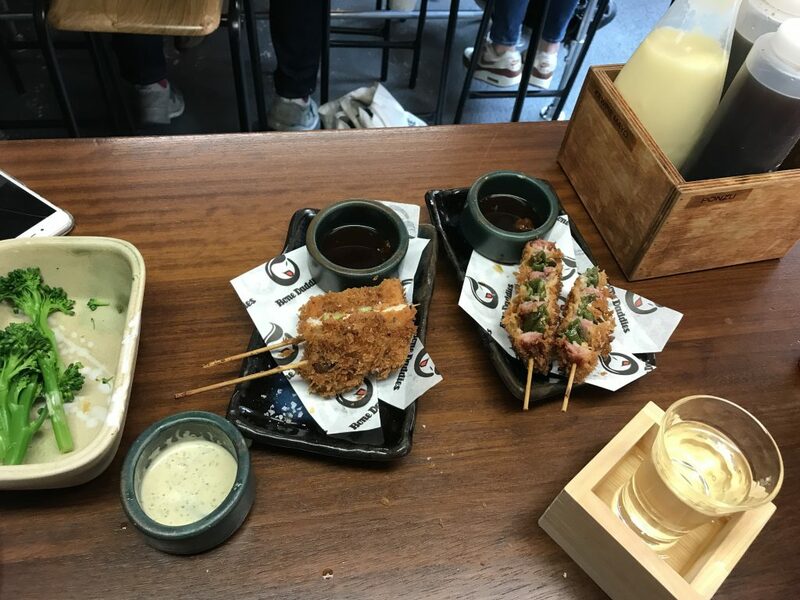 We chose two kushikatsu (breaded and fried meat and vegetables). One (on the right in the photo below) had cheese, bacon and padron peppers…definitely not very Japanese. The other was spicy chicken and spring onion. They were nice, but I don’t think I’d get the chicken one again, it was a bit too spicy for me. Strangely the ramen arrived before the starters, which was good because it meant I wasn’t fully already when I tucked into my Tonkotsu. It’s 20-hour pork broth was delicious, almost like gravy. If anything it was a little too rich, but incredibly tasty. I have noticed that none of the ramen I’ve had since January have had the white and pink fishcake. Presumably this is because of some regulation or other, but that little floating thing does make a bowl of noodles look a bit more special. Sadly the tonkotsu came without many extras, just spring onion, beansprouts and bamboo shoots, so I added lots of nori, which I’d recommend. Sidebar: Nori originates in the Asakusa area of Tokyo, where I spent more than a hour browsing in kitchenware shops in the Kappbashi district. Adam and Mel shared some cold broccoli which came with a spicy mayonnaise; but they ate it too quickly and I didn’t get to have any. This is, I’m not overstating here, the best ramen that I have eaten in the UK. 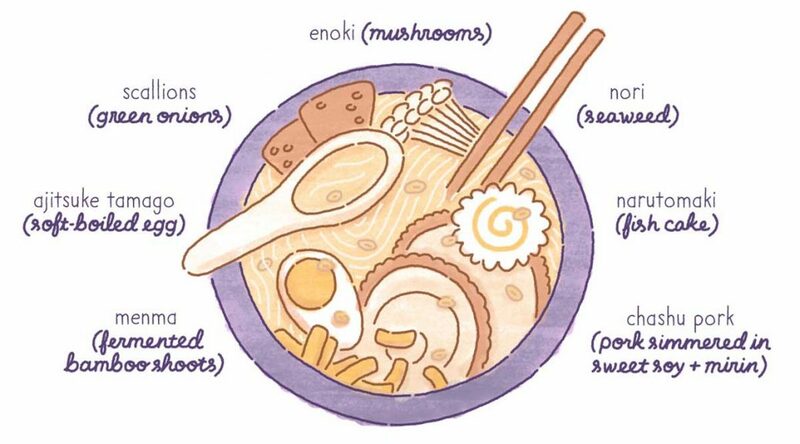 I think I’d add mushrooms as well next time, but the broth was simply divine and the pork literally melted in my mouth. The bill came to just over £75 for the three of us, with drinks included. I’m awarding this meal my first RAMEN (5 out of 5) of my Ramen Resolution. I was literally full for the rest of the day too! Bonus! 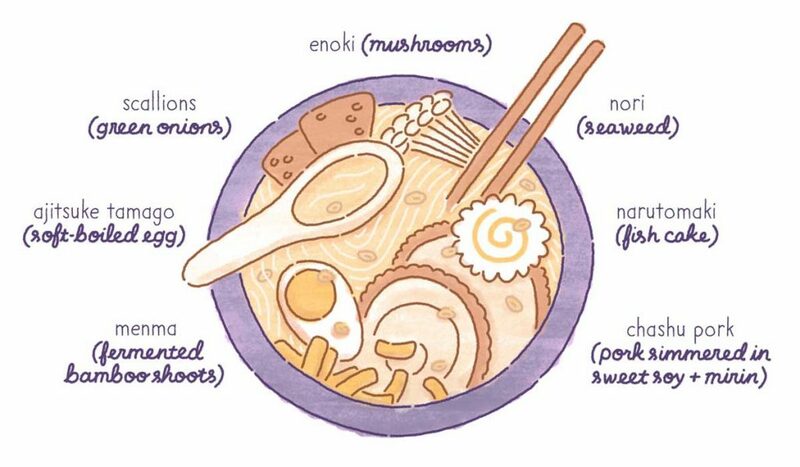 In short; go to Bone Daddies, order the Tonkotsu, thank me later. Or if you can’t get there straight away, go drool over the foodporn on their Instagram.